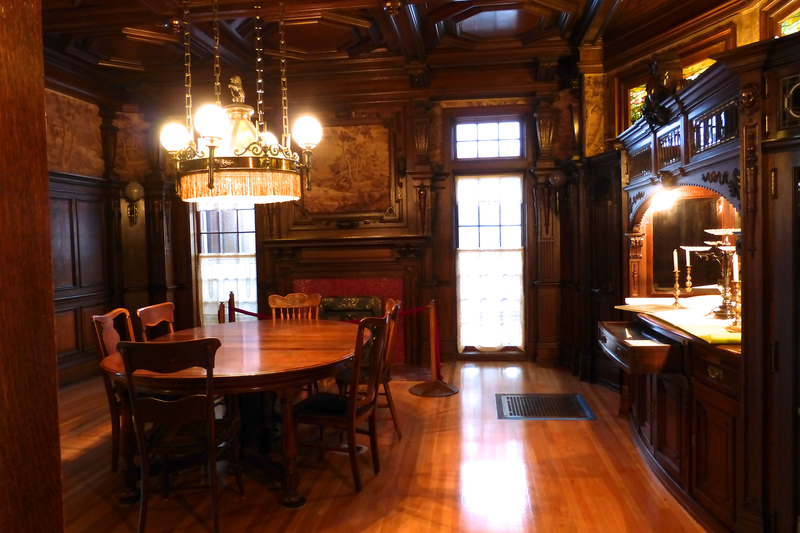 Step into history with a one hour guided tour of the Moss Mansion Historic House Museum. Come and make history with us! 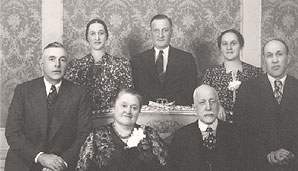 The tour captures turn-of-the-century life as the prominent Moss Family lived it. Guests will see original draperies, furniture, fixtures, Persian carpets and artifacts displayed in the 1903 red sandstone structure designed by New York architect Henry Janeway Hardenbergh. Coming up on April 10th is a House hearing in Helena for SB338, a proposal that could fund historic preservation efforts across the state with grant monies from a small tourism tax. Moss Mansion is named as one specific beneficiary in the first year of the plan, and the impact is significant. Please find below more information about the bill and a path to showing your support. Spread the word and help us gain support for this important legislation! In its original form the initial monies to the Moss would be equal to our all-time largest annual budget – $400,000.00 – with additional grants available for application in subsequent years. While that seems like a huge amount, we receive no direct funding from state or federal government and less than 1% of our budget comes from grant funding of any kind in any given year. Grants from this new source would, over time, help to address the numerous projects on Moss Mansion’s independently funded deferred maintenance list. This first year amount would only address a portion of this list. SB338 would grant Moss Mansion a very small percentage of the monies that could be collected each year to benefit a range of organizations that operate within the tourism sector. Many, if not all, historic properties throughout Montana are in the same funding situation, with grant monies for brick and mortar projects scarce as hen’s teeth. 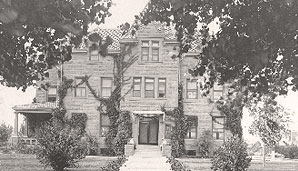 This bill would have a significant impact on our ability to extend the life of this grand building and others around Montana that currently depend largely on private donations rather than financial support from the Montana Historical Society. We encounter thousands of guests from around the world and local volunteers who are excited about and dedicated to preserving historic places like ours for generations to come. We engage each day with volunteers and students who in turn engage our entire region, promoting education and culture, tourism and commerce in ways that enrich lives and deepen relationships. This funding would magnify the effect of their time and talent contributions. If you have signed a paper copy of a petition, please do not send additional signatures to Helena. Duplicates will be eliminated and will tarnish the effect of the petition. Your support of the Moss Mansion and other historic efforts across the state are vital, and this kind of support is as important as donations and volunteer time. Thank you for supporting the Moss Mansion! Proposed by Republican Senator Terry Gauthier, the Montana Museums Act of 2020 (SB338) is exciting and hopefully, with all of your help, will pass and benefit so many in Montana. Create a grant program that provides funding for state-owned properties the Daly Mansion and Moss Mansion in year one. Provides ongoing funding for tourism promotion, CVBs, FWP and Tribal economic development. Provides ongoing funding for other statewide infrastructure projects. What is best about this bill is its attention to the needs of museums across the state. Although at first most of the money will go toward paying for the expansion of the Montana Historical Society, funding for that project sunsets in 2024, at which point that money will be made available through a grant fund to see to infrastructure needs of other Montana cultural institutions. You can read the text of the bill here: https://leg.mt.gov/bills/2019/billpdf/SB0338.pdf. (If the link doesn’t work, copy it into your browser). 1. Message the committee using this handy on-line form: https://leg.mt.gov/web-messaging/. After filling out your contact information, you’ll be asked if you want to send a message to a legislator or a committee. To message Senate Finance and Claims, select Committee, then use the drop down menu to select Senate Finance and Claims. Under Bill Type, choose SB and in the box asking for a number, type 338. Then in the box, type your message–which can be as simple as “please support” or you can type a longer message explaining your thoughts on the bill. Then scroll down and press “send.” Easy peasy. (406) 444-4800. Callers may leave messages for up to 5 individual legislators or 1 legislative committee per call. Regular office hours during the session are 7:30 a.m. to 5 p.m. weekdays and 8 a.m. to adjournment on Saturdays. To make sure you are getting the most up-to-date information about tours, events, and schedules at the Moss Mansion, please make sure you refresh your browser! SpringFest Artist Applications are available HERE. Print or download and return to the committee by March 26, 2019. Winter at the Moss is a busy time! While we suspend tours for a while to dismantle the trees and put away Christmas decor, the staff is working out plans for 2019 and getting our annual deep cleaning done. Tours begin anew on January 22, and Clue Games are scheduled for February, March, April and May. We have new ideas for Brew-seum events this year, a fabulous stained glass exhibit for summer, and some fun workshops are taking shape as well. You can find our events, fundraisers, and more on our online calendar, but don’t forget that you can book the Moss Mansion for private parties, Clue Games, Murder Mysteries, weddings, and more. Call for more information about all we do – 406-256-5100. Do you love the history behind the Moss Mansion? Would you love to know more about P.B. Moss’ early years in Billings? Follow the link! You can follow the blog and receive and email with each new post, or follow our Facebook page and receive the posts there. Sign up for updates and have them periodically delivered to your inbox! We respect your privacy. We do not share or sell your email address.